Takeuchi-US launched the TB235-2 compact hydraulic excavator. 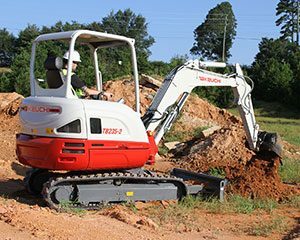 The excavator features the same design concept of the TB230, TB240 and TB260, provides a 3.5-ton offering and comes standard with Takeuchi Fleet Management telematics system. Free access to the system is provided for the first two years of ownership, Takeuchi said. The operator’s station is spacious and features an automotive-styled interior with a multi-information display to keep the operator informed of machine health and condition. A cab option is available with air conditioning and heat.